Maison Gillardeau has always cherished excellence during its whole history. From Henri to Thierry and Veronique, this value dear to us is transmitted from generation to generation. 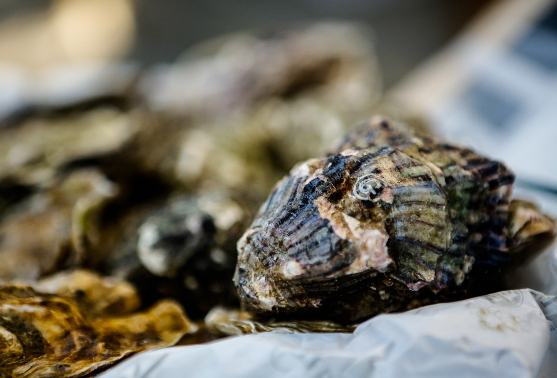 To ensure you the finest of our production, from our nursing parks to your tables, we submit each day our oysters to rigorous analyzes. From their shell shape to their flesh rate, La Maison Gillardeau daily checks every oyster from our parks to certify that they met our requirements, and therefore those of our clients. Since salinity level as well as the oxygen rate can affect the well-being of oysters, to ensure the optimal conditions for our oysters’ growth we regularly verify the waters of our development pools. Many times a day we examine the waters quality by conducting several analyzes. Once all those requirements passed, and after a vigorous cleaning aiming to get rid of parasitic shells, each oyster bag is then sorted manually during our packing process. Like the shoreline by the sea is sculpted at the rhythm of tides and seasons, we shape the oyster thanks to our well-treasured savoir-faire that we pass from generation to generation. From this savoir-faire La Gillardeau was born, an oyster with exceptional taste that many have been unsuccessfully tried to copy and reproduce for years. 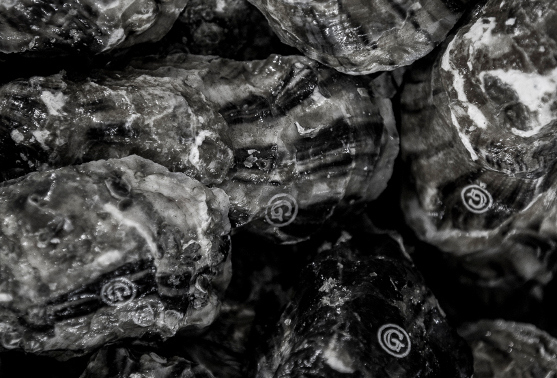 In our fight against counterfeit, each oyster coming from our production sees its shell engraved by laser with our iconic G before being packed. This mark is a guaranty that your oysters are authentic Gillardeau ones. Many renowned Chefs have been seduced around the world by La Gillardeau’s appearance as well as the quality and generosity of its flesh. For its unique and refined flavor La Gillardeau became a worldwide reference in gourmet products. All Chefs agree that La Gillardeau must and should always be treated with respect while elaborating a dish that incorporates it. Enhancing without altering its flavor being the secret to achieve a sophisticated and perfectly balanced dish. Internationally recognized and called “The Rolls-Royce of oysters”, Gillardeau’s oysters will always have their place on the most refined tables.